Local 537 is devoted and dedicated to promoting, protecting, and championing the legitimate struggles of professional, office, and clerical employees toward achieving an improved lifestyle, economic well-being, their general welfare, and rights as workers and citizens. It's that time of the year that OPEIU Local 537 awards one recipient with a scholarship worth $1,200. As the cost of college continues to rise, you may want to take advantage of a scholarship that can help with some of the costs of college for yourself, spouse, or dependent. Every little bit counts. If you would like to obtain more information about the Maria Landa-Rios Memorial Scholarship and other available scholarships, please click on the image to the left or go to the Union Benefits tab and click on Scholarships. Applications now are being accepted for the 2019 OPEIU educational scholarships, and all members are encouraged to apply. Full details, rules and applications can be found by clicking on the links below, as well as on the OPEIU app*. Scholarship opportunities include the Howard Coughlin Memorial Scholarship for OPEIU members and dependents, and the John Kelly Labor Studies Scholarship for OPEIU members who are pursuing an undergraduate or graduate degree in labor studies, industrial relations and union leadership and administration. The deadline to submit these applications is April 30, 2019. Scholarships are also available for children of OPEIU members to attend the Romeo Corbeil/Gilles Beauregard Memorial summer camp, held July 14-19, 2019, at the University of Missouri Campus, Columbia, Missouri. The deadline to submit this application is April 30, 2019. Each year, the International Union imposes Per Capita increases on each Local, and in turn, each Local is expected to pass along the increase to its members. With this in mind, we would like to remind you that the last time Local 537 increased dues on its members was October 1, 2015. For the past three years, the Per Capita increase was not passed on to our members, as mandated by our International Union. This increase to the International Per Capita has been absorbed from our budget. 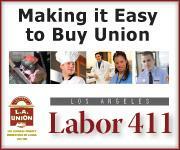 While Local 537 tries to minimize the costs to our members, we can no longer absorb the increase. Effective February 1, 2019, the monthly dues will be increased by two dollars ($2.00) per month; which is less than the four dollars and fifty cents ($4.50) increase that we have been obligated to pass on to our membership. This two dollar increase equates to about one cent (1¢) per working hour, per month. Even with this modest increase, we are less than some industry standards with our sliding scale. Please click here to view the new Dues Schedule. Please click here for all Dues information. Our members who receive healthcare benefits from Kaiser Permanente now have an additional benefit. Active&Fit Direct is a program which gives members access to over 9,000 fitness centers for a membership fee of just $25.00 per month. To enroll, visit American Specialty Health's ChooseHealthy site for Kaiser Permanente members. Click on any of the Active&Fit information tiles to find a fitness center near you. To learn more, call 877-335-2746. OPEIU is pleased to announce its newest membership benefit free for all members – identity protection. Now all OPEIU members will have a proactive, comprehensive defense against identity theft, all at no cost to you, our members. OPEIU has contracted one of the nation’s leading identity protection solutions, InfoArmor®, to protect members against this $16 billion crime that impacted almost 15.4 million Americans last year. Click the image to read about highlights of the benefit, or go to the International's website here to receive more information. OPEIU is pleased to report that the OPEIU Towing/Service Calls program is still a big hit with our members. We are constantly reviewing the plan, making adjustments where necessary to ensure the program is most useful to our members and cost-effective for the union. In an effort to tighten the plan to achieve both those goals, we have instituted a few changes that went into effect October 1, 2017. These changes should have no impact on the high-level of service provided to our members, but rest assured, we will regularly review and make adjustments as needed to ensure quality control. As always, all members will be entitled to up to two tows per year, valued at up to $100 each – $80 for the tow, plus a $20 administrative fee paid by OPEIU. In the past, OPEIU has allowed the tow limit to be upward of $100 PLUS the $20 administrative fee, making the actual value of each tow up to $120. Going forward we are enforcing the $100 limit, so each tow’s maximum will be $80, plus the $20 administrative fee paid by the union, and the member will be responsible for any amount that exceeds $80 for any tow/service call. A review of the plan’s usage over the past years indicates that the average tow/service call cost is approximately $70 plus the administrative fee, so this change is likely to affect very few members. Our service provider, Nation Safe Drivers, informs us that our towing radius of up to 25 miles is extremely generous and much more than the industry average. Our plan’s usage reports also indicate that our average tow is 15 miles or less, therefore, we are reducing our towing coverage area from 25 miles to 15 miles. Finally, we are also making an effort to make the OPEIU Membership Benefits program a paperless endeavor, and have posted the towing card – along with other OPEIU benefit materials – on the OPEIU website at www.opeiu.org and on the OPEIU app, which is available for free download at the App Store and Google Play by searching OPEIU. We encourage you to download the app today. The new OPEIU app is a great way to stay connected to your union, learn more about your membership benefits, find links to OPEIU's social media networks, and much more. Available for free download for iPhones at the App Store and for Android devices at Google Play by searching OPEIU. Click on the Store links to get the apps. Disclaimer: The information provided on this website should not be solely relied upon, as it is based on currently available information that is subject to change. If you have any specific questions concerning the information contained on this website, please contact OPEIU Local 537.